$5 Monthly Margaritas. Always all month long. Always at Chili's. 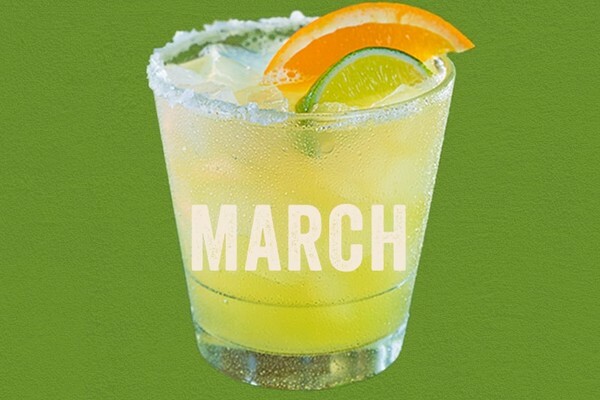 When you make margaritas as good as we do, there's always a monthly excuse to celebrate. You won't want to miss the $5 flavors we have coming up each month at your local Chili's. 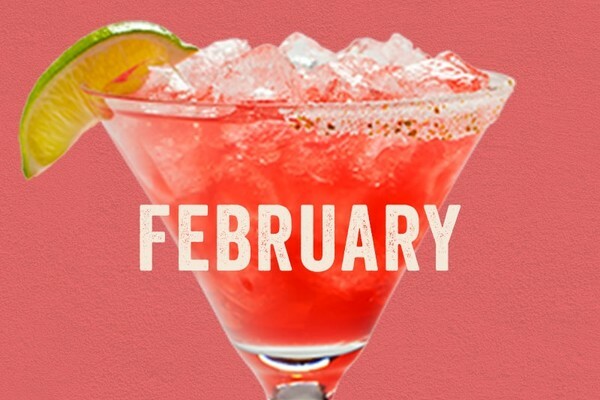 $5 Margaritas this month and next month, and the following month too. At Chili’s, we know quality and value, and at our bar, we’re always raising the bar. That’s why we created the $5 Margarita of the Month to give our guests a premium margarita at a sensible price, always. From flavors like Cherry to Peach and iconic brands like Deep Eddy Vodka to 1800 Tequila, we’re changing it up each month to match the season using quality ingredients we love. You won’t want to miss what we’re serving up now so hurry in to enjoy our $5 marg before the month is over. And then hurry in to enjoy the next month’s margarita too! All day, every day, only at Chili’s. 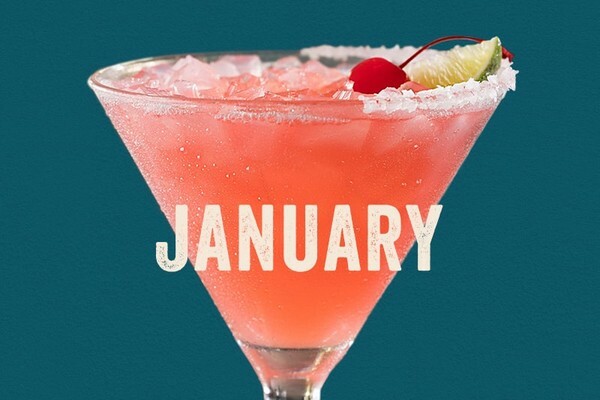 the January $5 Margarita of the Month. Blooming with Lunazul® Blanco Tequila, St-Germain, Fresh Sour and Grenadine, this ‘rita is the cherry on top of the New Year. bursting with Lunazul® Blanco Tequila, Grand Marnier® Liqueur, Fresh Sour and Pomegranate for only $5. This margarita will give you heart eyes just thinking about it. month long, THE LUCKY JAMESON is a pot of gold with Jameson® Irish Whiskey, Lunazul® Blanco Tequila, Triple Sec and Fresh Sour. Now, that’s the luck of the Irish.